Lost amongst all of the hype around the launch of the PS4 and Xbox One is perhaps one of what I think is the most “next-gen” ideas I’ve seen on either of the two shiny consoles. It’s called Xbox Fitness and it’s “free” for the low, low price of being an Xbox Live Gold member. Fitness is one of two genres that stand out to me as being tailor made for the Kinect (the other being dance games). 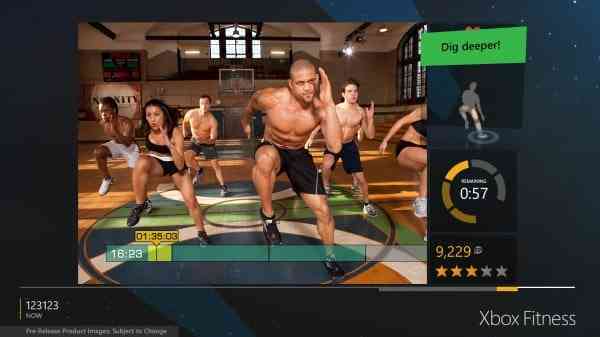 Xbox Fitness streams a variety of video workouts and tracks your actions with the new Kinect hardware. The result is impressive but not without its shortcomings. The inclusion of insanely popular Beachbody programs such as P90X and Insanity are a huge coup for Xbox; however, not all of these programs are complete nor are they entirely free. For example, arguably the most notable program included, P90X, only has two of its workouts currently available. A few workouts such as some of the Jillian Michaels ones have a $9.99 premium attached to them as well. Of the available programs, the workouts that probably surprised me most were the ones from Mossa. Even as a graduate of “extreme” programs such as P90X, Insanity and even Asylum, I found the Mossa workouts to be a fun challenge. The various programs are sorted well into length and equipment requirements. This makes it easy to quickly select one that fits whatever your schedule or mood is for that day. Despite the variety of what it currently offers, there is a distinct lack of any workouts that focus on stretching, isometrics or mobility. This is disappointing because these are important facets of all-around fitness and workouts already exist within the programs that we are only given samples of. Yoga X or Stretch X from the P90X program would be perfect candidates. The enhanced capabilities of the new Kinect are shown off here to great effect. Not only does the improved accuracy of the Kinect offer great precision in tracking your movements, it actually shows you which muscles are being worked during any one exercise with a sort of heat signature on on-screen silhouette. The new Kinect’s improved field of view also gives you a greater range of motion too, especially front to back. This really helps doing cardio-based workouts where you’re moving around a lot or others that may require you to switch between standing and floor positions. When you are doing work on the floor there are a few things to be careful about. The scoring seems to respond only if you’re oriented in the same direction as the trainer on screen (you want your head on the same side the trainer’s is). When placing my hands behind my head while doing crunches my arms would obscure the Kinect’s view of my face. This resulted in the Kinect losing its ability to track my movement, even though I could still see my silhouette, and it did not count any score until I sat up and gave it a view of my face again. In a sense this is sort of trivial. You’re still benefitting from the effort you’re putting in but it may be a bit frustrating if you’re focused on earning rewards and scoring. One feature I couldn’t quite figure out was the Kinect’s heart rate monitoring. Its not inherently obvious how it all works. Heck, I couldn’t get it to work at all without some troubleshooting from the Xbox Support Twitter team. At best it only sporadically picked up my heart rate during a workout (the option being to pause and do it manually). If it is meant to monitor your heart rate continuously it is far too inconsistent to be accurate. It certainly will not replace a proper heart monitor if you’re looking for an accurate estimate of your caloric burn in any workout. Scoring for each move during a workout varies by how well your movements compare to what the workout deems ideal. In a sort of Guitar Hero’ish way, the better your movements are the greater the scoring multiplier is. Periodically during workouts challenges pop up which pit you against the average score for others in your same age group. Challenges provide extra incentive that make you push through each workout. Badges are awarded for various challenges that are thrown at you for each workout. These are presented three at a time, sort of along the lines of what Jetpack Joyride does. Every time you complete a goal a new one takes it place. As you accumulate badges, you progress through levels that broadcast your fitness progress to others. 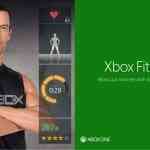 Despite everything it has going for it there is still some uncertainties around Xbox Fitness. The biggest one is that no one really seems to know what the business model is going to be here. Yes it is free for Xbox Live Gold members until December 2014. What you have to pay and what you get after that remains to be seen. As I mentioned earlier, currently most of the programs that are included only have a fraction of the total workouts of the actual fitness program. Those people looking to follow a specific program are out of luck at the moment. And what happens if you already own the DVD’s of a certain program? I won’t be buying Insanity all over again that’s for sure. It’d be nice if it somehow allowed people to incorporate DVD’s (supported by Xbox Fitness, of course) they already own to take advantage of what Xbox Fitness has to offer. Another consideration is where your Xbox One is set up. Let’s face it; living rooms aren’t always the ideal space to get your workout on. Not only is a mat is highly recommended so is having a stable floor. I’m talking about something with concrete subfloor such as a basement. Apartment dwellers will risk bothering the neighbours with any of the high impact videos. As a 6’2”, 220+ pound guy, I shake our games room upstairs where our Xbox One is located when doing something like Plyo X. I’ve made considerable investment in putting a workout space together in my garage. As much as I see this as a reason to get a second Xbox One I’m not sure my wife would approve. As impressed as I am with Xbox Fitness, I’m not likely to make it my primary training medium in the long term for that reason. Scoring Xbox Fitness was a challenge for me. There’s no denying the quality of content here or the lure of putting a score towards how well you did in your workout, but it is still a little too early in Xbox Fitness’ life cycle to pass final judgement of the concept as a whole. The business model beyond the free trial year for Gold members has yet to be shared but I love the concept. 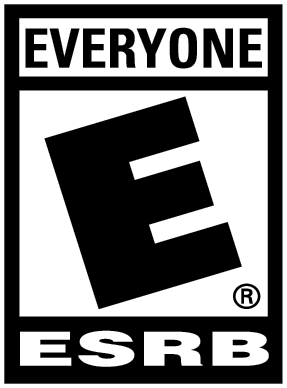 It might not be perfect but this is probably the most underrated “next-gen” feature I’ve seen on the new consoles. Xbox Fitness succeeds in “gamifying” its workouts like no fitness game before it.